We have some things to get excited about at Nanas, and we’re including you in the excitement this Saturday with some “Lucky 7” special sales for you all. You will notice a new look in our armoire to reflect the news that there will be a new Nana at Nanas. Nikki will be welcoming a baby into her household in August, and she prefers to be called Ya Ya. To celebrate this coming event with you, we will have everything in the armoire at 21% off. So come and see baby fabrics and check out the center window display to match. In celebration of Spring we wil be selling flannels at 35% off! Think quilt backs, receiving blankets, crib sheets, even jammies. We are off to Quilt Market in 2 weeks, so we’re offering you a fat quarter special as well. On Saturday only, buy 5 Fat quarter and get 2 FREE! And last but not least, we are wecloming a new member to our team, Anita Lewis. 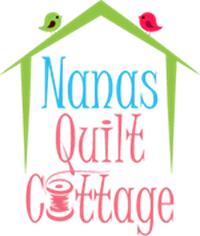 Join us for cookies and meet Anita next Wednesday, as she shares some of her special appliqued quilts and ideas for upcoming classes.